Power to Heal is an hour long documentary that tells the story of the historic struggle to secure equal and adequate access to healthcare for all Americans. 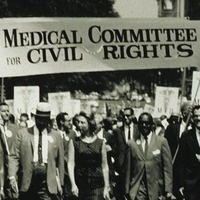 Central to the story is how a new national program, Medicare, was used to mount a dramatic, coordinated effort that desegregated thousands of hospitals across the country. Our rescheduled date marks the 51st anniversary of Dr. King's death. Before he passed away, Dr. King shared, "Of all the forms of inequality, injustice in health care is the most shocking and inhumane." We look forward to contributing to a more equitable conversation on health and healing. A light lunch will be provided.